These are the approximate positions of the U.S. Navy’s deployed carrier strike groups and amphibious ready groups throughout the world as of March 12, 2018, based on Navy and public data. In cases where a CSG or ARG is conducting disaggregated operations, the map reflects the location of the capital ship. USS Carl Vinson (CVN-70) departed Da Nang, Vietnam on March 9 and is now operating in the South China Sea. “Cruiser USS Lake Champlain (CG-57) and destroyer USS Wayne E. Meyer (DDG-108) departed following a four-day port call… Carl Vinson, America’s third Nimitz-class aircraft carrier, hosted more than 1,300 guests for tours, professional exchanges and a formal reception attended by the U.S. 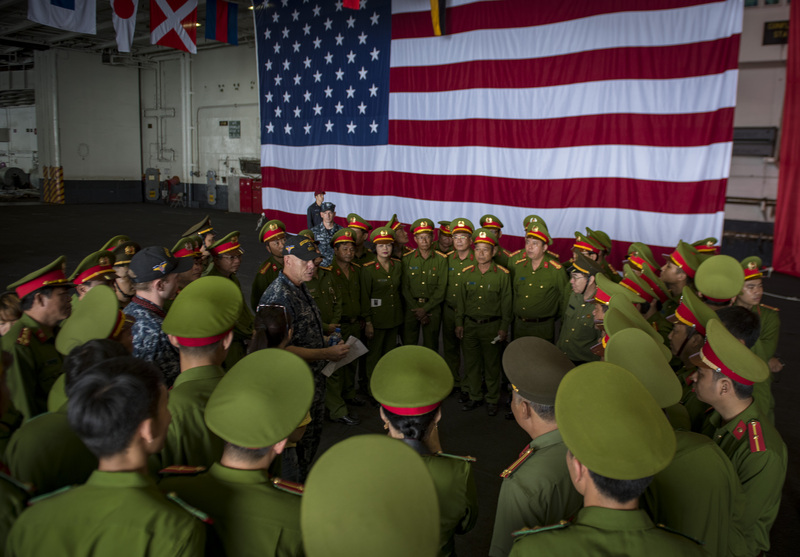 Ambassador to Vietnam, Daniel Kritenbrink, and commander of U.S. 7th Fleet Vice Adm. Phillip Sawyer,” the service said in a press statement. 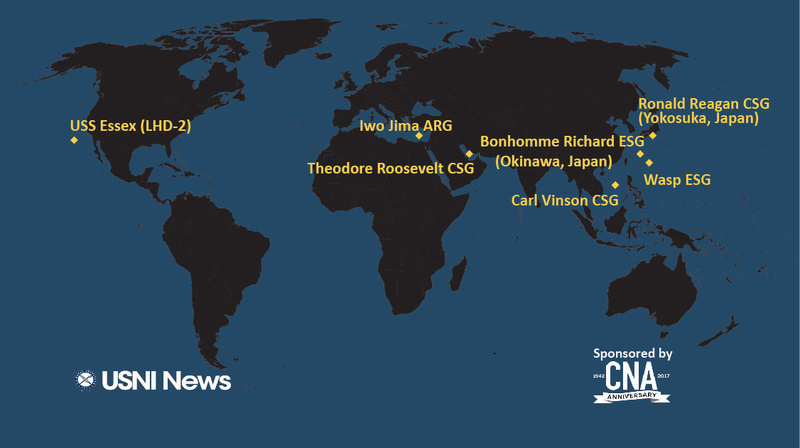 USS Carl Vinson (CVN-70) is in the Western Pacific at a time the Navy’s only permanently forward-deployed aircraft carrier, USS Ronald Reagan (CVN-76), is in port. The “Bounty Hunters” of Strike Fighter Squadrons (VFA) 2 from Naval Air Station Lemoore, Calif. The “Blue Blasters” of VFA-34 from Naval Air Station Oceania, Va. The “Golden Dragons” of VFA-192 from Naval Air Station Lemoore, Calif. The “Blue Hawks” of Helicopter Maritime Strike Squadron (HSM 78) from Naval Air Station North Island, Calif. The leadership of DESRON 1 is embarked aboard Carl Vinson and commands the CSG’s guided-missile destroyers. USS Wayne E. Meyer (DDG-108), homeported in San Diego, Calif.
USS Lake Champlain (CG-57), homeported in San Diego, Calif.
Carrier USS Ronald Reagan (CVN-76) is in port in Yokosuka, Japan, for a maintenance availability. USS Wasp (LHD-1) is operating off of the Korean peninsula. 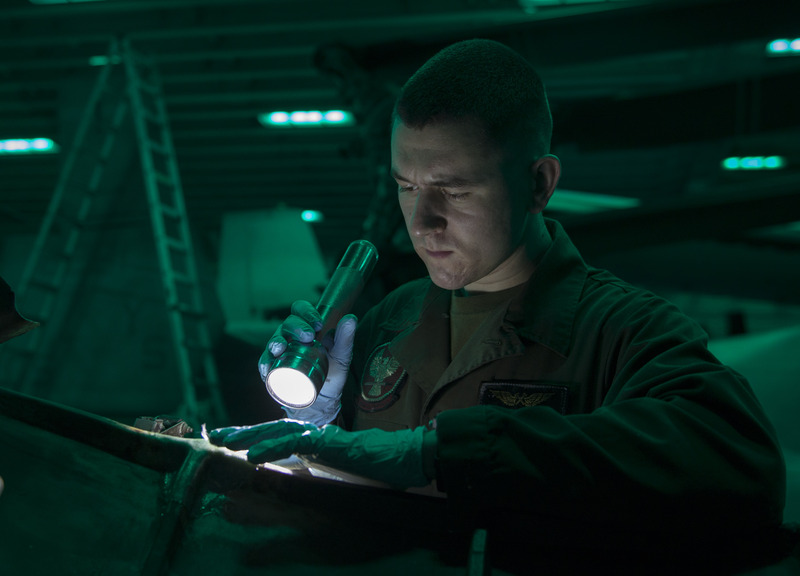 The “Green Knights” of Marine Fighter Attack Squadron 121 (VMFA-121), is aboard with the service’s first operational F-35B Joint Strike Fighters. 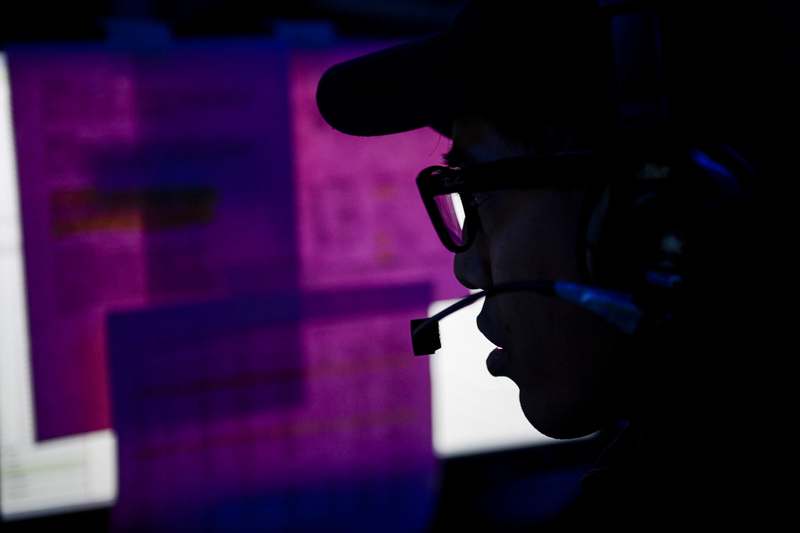 The Wasp Expeditionary Strike Group is conducting a regional patrol meant to strengthen regional alliances, provide rapid-response capabilities and advance the upgunned ESG concept. Wasp (LHD-1) departed from Sasebo, Japan, on March 3, 2018, to begin a routine deployment in the Indo-Pacific region using an upgunned Expeditionary Strike Group concept to strengthen regional alliances and provide rapid-response capability. Guided-missile USS Sterett (DDG-104) and USS Dewey (DDG-105) are underway to support the Wasp Expeditionary Strike Group (ESG) and will train with forward-deployed amphibious ships. 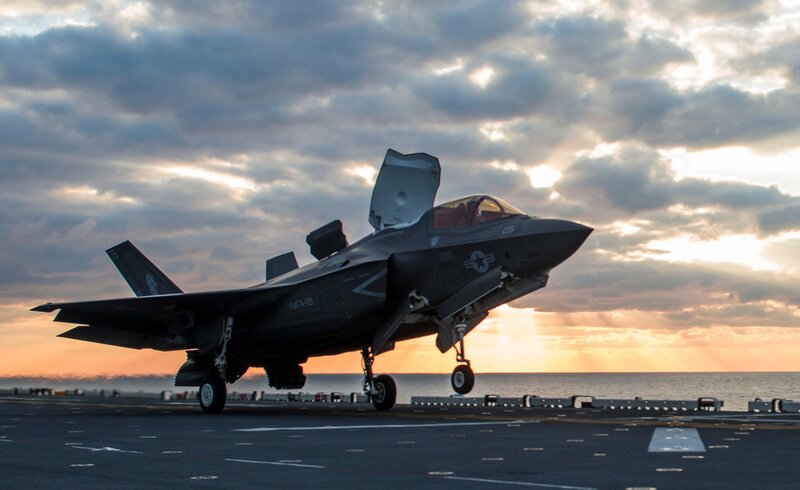 The patrol will be the first operational deployment for the Marine F-35B Lightning II Joint Strike Fighter. The Bonhomme Richard ESG with embarked Marines assigned to 3rd Marine Division (MARDIV) departed in Manila on March 9 after a scheduled port visit. 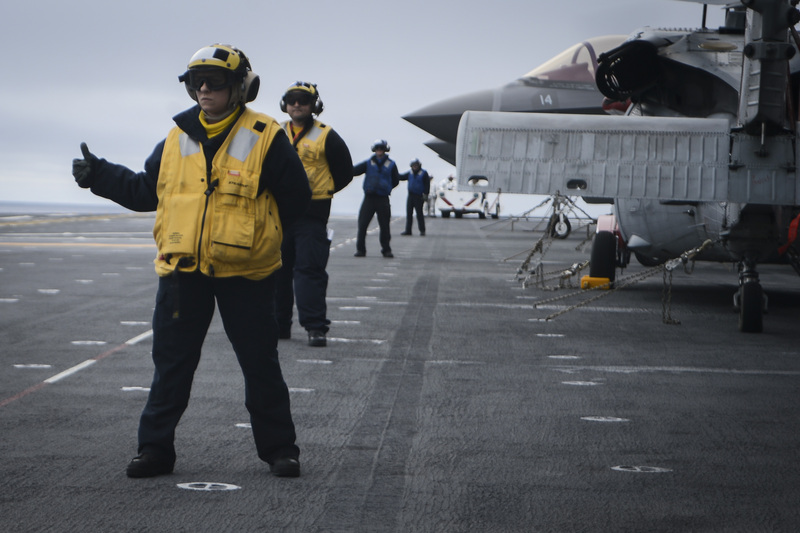 The ESG is underway for a regularly scheduled patrol in the U.S. 7th Fleet area of operations. Navy hospital ship USNS Mercy (T-AH-19) entered U.S. 7th Fleet on March 10 as part of the Pacific Partnership 2018 exercise that began on Feb. 23. U.S. ships will visit countries bordering the South China Sea, including Vietnam, Indonesia and Malaysia. “Pacific Partnership is the largest annual multilateral humanitarian assistance and disaster relief preparedness mission conducted in the Indo-Pacific Region. [The exercise] includes more than 800 military and civilian personnel from the U.S., Canada, United Kingdom, Australia, France, South Korea, Singapore, and Japan, and is scheduled to make mission stops in Micronesia, South and Southeast Asia from February through June 2018,” read a Navy statement. 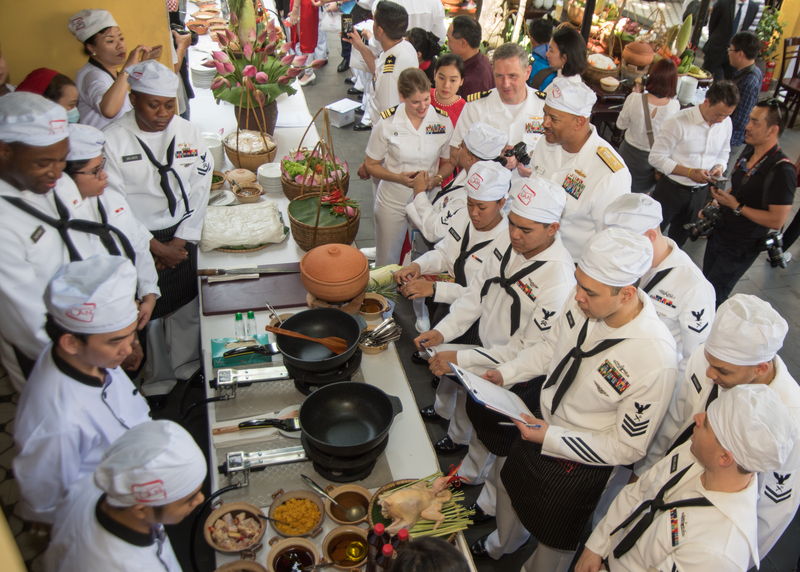 Fall River – the fourth in the Spearhead Class of expeditionary fast transport ships – arrived in Da Nang, Vietnam on March 5 for the third phase of this year’s Pacific Partnership disaster response preparedness mission, after previous stops in Sri Lanka and Malaysia. 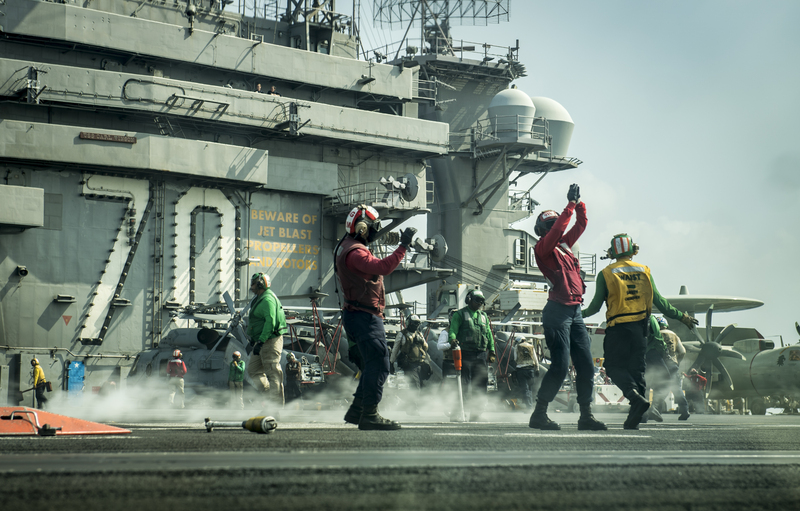 The Theodore Roosevelt Carrier Strike Group (CSG) is operating in the Persian Gulf. The CSG has been conducting air strikes in support of Operation Inherent Resolve. The U.S. airstrikes also intend to maintain pressure on the Taliban throughout the winter period. 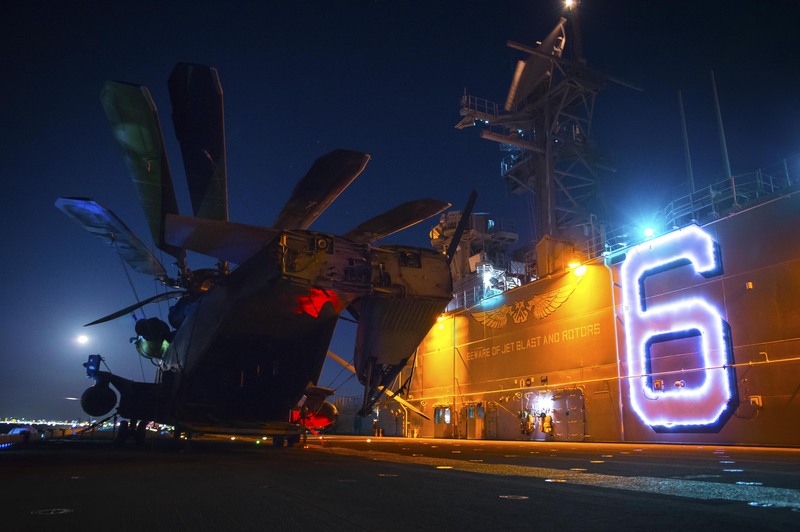 “[The] carrier strike group are deployed to the U.S. 5th Fleet area of operations in support of maritime security operations to reassure allies and partners and preserve the freedom of navigation and the free flow of commerce in the region,” read a statement from 5th Fleet. The Iwo Jima Amphibious Ready Group and the 26th Marine Expeditionary Unit, arrived off the coast of Israel on March 6 to take part in exercise Juniper Cobra 2018. The ARG which deployed on Feb. 7 from Mayport, Fla., includes amphibious assault ship USS Iwo Jima (LHD-7), amphibious transport dock USS New York (LPD-21), dock landing ship USS Oak Hill (LSD-51), Fleet Surgical Team (FST) 8 and FST-4, Helicopter Sea Combat Squadron (HSC) 28, Tactical Air Control Squadron (TACRON) 22, components of Naval Beach Group (NBG) 2 and the embarked staff of Amphibious Squadron 4. The Essex Amphibious Ready Group (ARG) and the 13th Marine Expeditionary Unit (MEU) are underway in the Southern California Operating Areas are conducting an ARG Surface Warfare Advanced Tactical Training (SWATT) exercise. 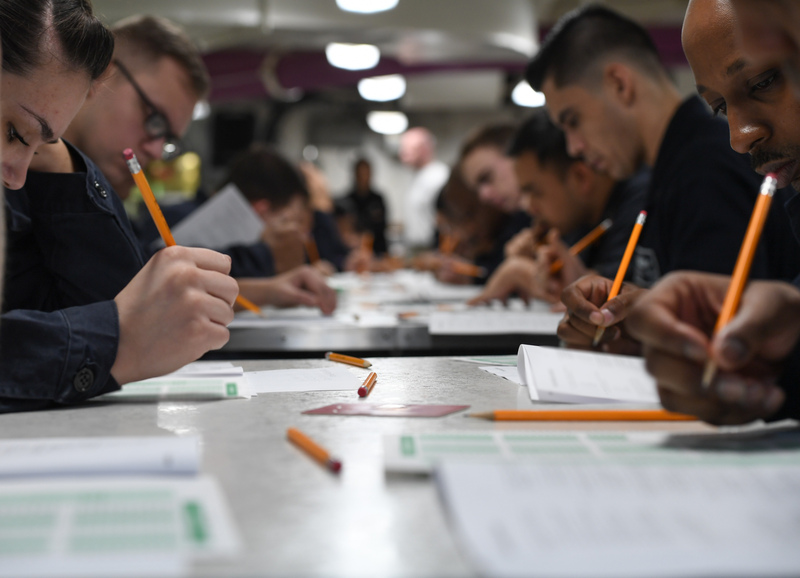 “The exercise is focused on advanced tactical training at sea to improve warfighting proficiency, lethality, and ship interoperability before further training in the ARG’s deployment cycle. Units participating in the Essex ARG SWATT are Amphibious Squadron (PHIBRON) 1, USS Essex (LHD-2), USS Anchorage (LPD-23) and USS Rushmore (LSD-47). 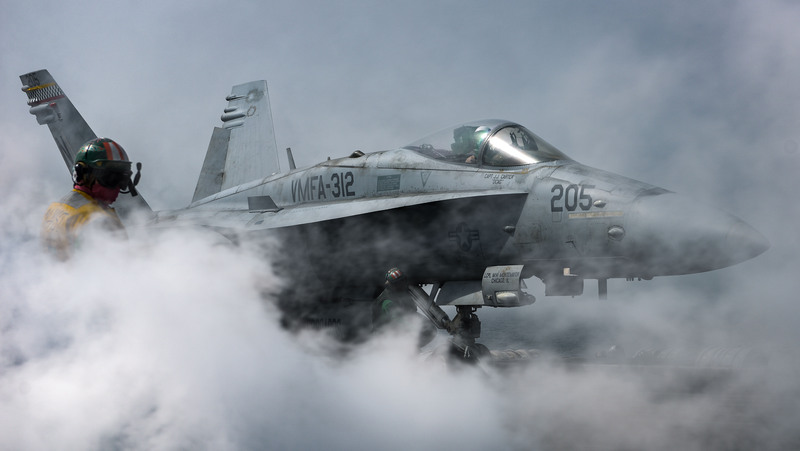 They will also operate with embarked forces representing elements of the 13th Marine Expeditionary Unit (MEU) and Marine Fighter Attack Squadron 211 (VFMA 211),” read a statement from the service. Essex will be the first West Coast ARG to deploy with the F-35B.